As the warm weather approaches, we are all making plans for a well-deserved vacation! Here are just a few of the exhibitions to not miss during your travels this Spring/Summer 2018. 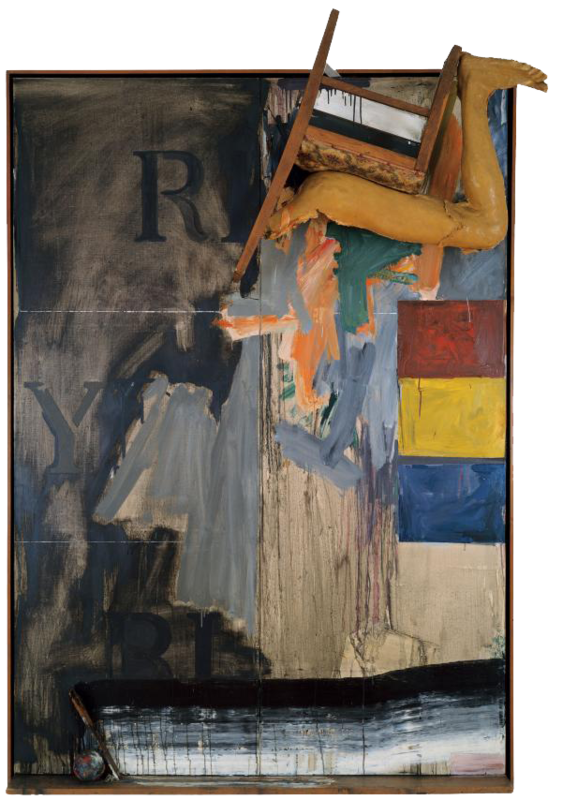 A landmark exhibition, Jasper Johns: ‘Something Resembling Truth’ features more than 120 extraordinary paintings, sculptures, prints and drawings by one of America’s greatest artist. Featuring signature works from the Broad collection with loans from more than 50 international public and private collections, The Broad’s presentation marks the first comprehensive survey of Jasper Johns in Southern California in more than 50 years. 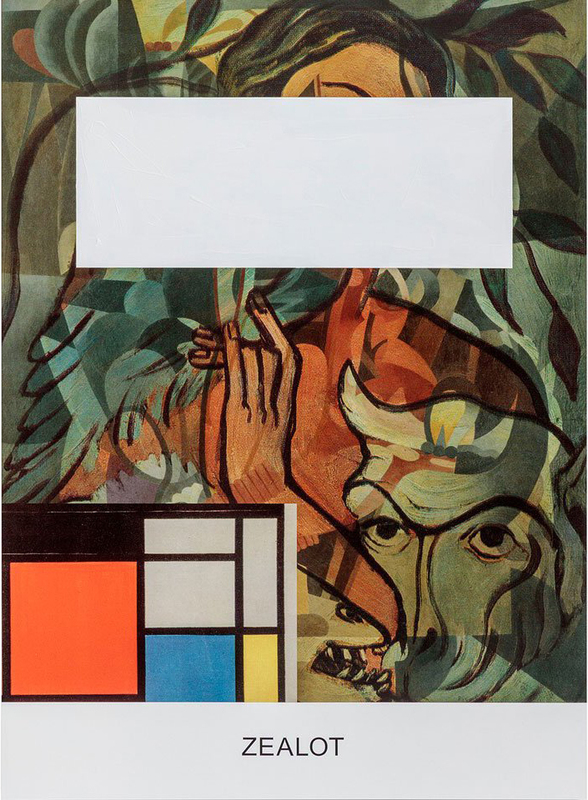 Building on Baldessari’s homages to the art historical canon, which have centered on subjects from Giotto to Miro to Pollock/Benton, the new exhibition pairs two icons of art, Picabia and Mondrian. Baldessari transposes fragments from these two masters, layering, opposing, and intersecting their histories with his own interventions and white blockages to construct a composite third way. Delighting in the pairing of incongruent words and images, he presents them as interchangeable and equal, creating a point of departure for an interconnected path that achieves a new reading. “Stories that are given shape by a pre-established structure, that merge and diverge, that come back on themselves, are visual/verbal, started by one, and finished by another,” Baldessari says. 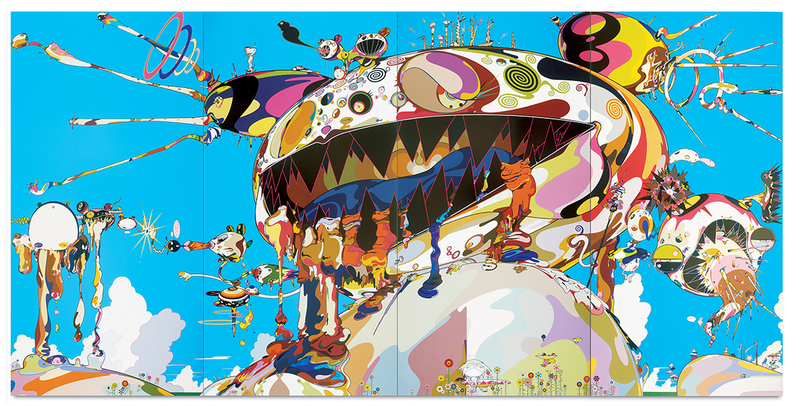 Takashi Murakami: Tan Tan Bo Puking – a.k.a. Gero Tan, 2002. Known for his collaborations with pop icon Kanye West and fashion house Louis Vuitton, and for vibrant anime-inspired characters, Japanese artist Takashi Murakami (b. 1962) has blurred the boundaries throughout his career between high and low culture, ancient and modern, East and West. Organized by the Museum of Contemporary Art, Chicago, the exhibition is a major retrospective of his paintings, featuring fifty works that span three decades of his career, from the artist’s earliest mature works to his recent, monumentally scaled paintings. The exhibition, titled Takashi Murakami: The Octopus Eats Its Own Leg, shows how Murakami’s art is rooted in traditions of Japanese painting and folklore, and highlights the artist’s careful attention to craft and materials. Yayoi Kusama: All the Eternal Love I Have for the Pumpkins (detail), 2016.